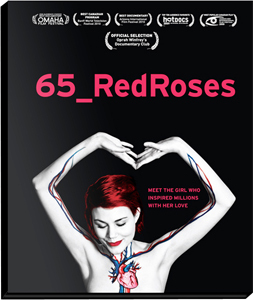 Philip Lyall and Nimisha Mukerji, the two young filmmakers & collaborators behind 65_RedRoses, tell the story of how it came to be. The actual documentary idea came in May 2007 when both of us went to visit our friend in the hospital, Eva Markvoort, who had a fatal genetic disease called Cystic Fibrosis. When we met with Eva, she had recently been told by doctors that she had less than two years to live if she did not get a transplant. From the outside she was trying to look like a normal 23-year old, but on the inside her body was totally shutting down. We were so captivated by Eva’s personality and her will to live that we decided to begin following her story as she went through the process of transplant. Nothing could have prepared us for the journey we were about to take. In our province, British Columbia, Canada, we have the lowest donor rate in the country, so we had to prepare ourselves for the worst possible outcome: that Eva could die on the wait list. Not knowing when Eva’s pager might go off for transplant, we moved full speed ahead with production. We began shooting without funding. Our Director of Photography, Mike Rae, volunteered his camera and services so that we did not miss any important moments. Eva’s family as well as her entire medical team, headed by transplant surgeon Dr. John Yee, gave us their full support even in the very early stages of the project’s development. They guaranteed us unlimited access to the hospitals and surgery rooms, should Eva get the call. As we began to learn more about Eva’s situation, she told us that she was not permitted to be around other Cystic Fibrosis patients due to the threat of spreading infection. If she were to catch a super bug or virus from another CF patient, it could jeopardize her chances for transplant completely. We couldn’t believe that she was going through the most important time of her life and she wasn’t able to talk to anyone else with her illness. She told us how through the internet she had been able to form friendships with two other young women battling the disease. 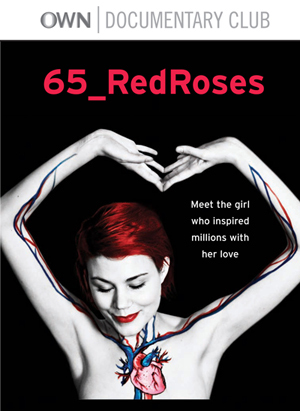 We realized that this was not simply a film about a sick girl with CF; this was also a story about the unlikely friendship between Eva and her online friends Meg and Kina, as they helped each other through some of the most difficult moments of their lives. Our greatest hope for this documentary is that when people watch it, they feel compelled to register to be an organ donor. We have witnessed first hand the difference it can make in a life. Eva would not be here if it wasn’t for her donor, and we are grateful every day that she got the second chance at life she deserved. Buy $9.99. Stream or download any time. 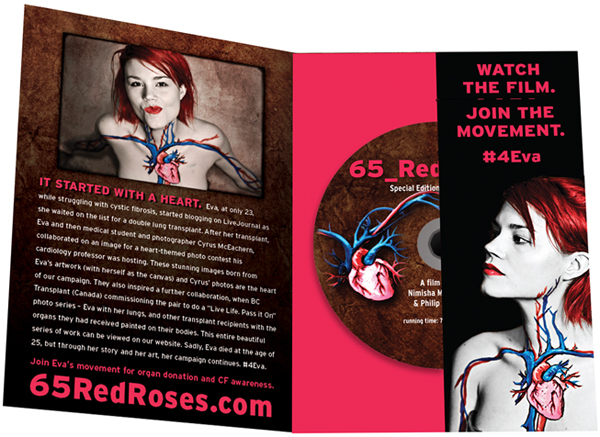 Eco-Edition and Special Edition DVDs are available. OWN Documentary Club Selection. Features an intro from Oprah and more.